It’s sick! Music, music, everywhere, and I forgot my American Express card. T.H.E. 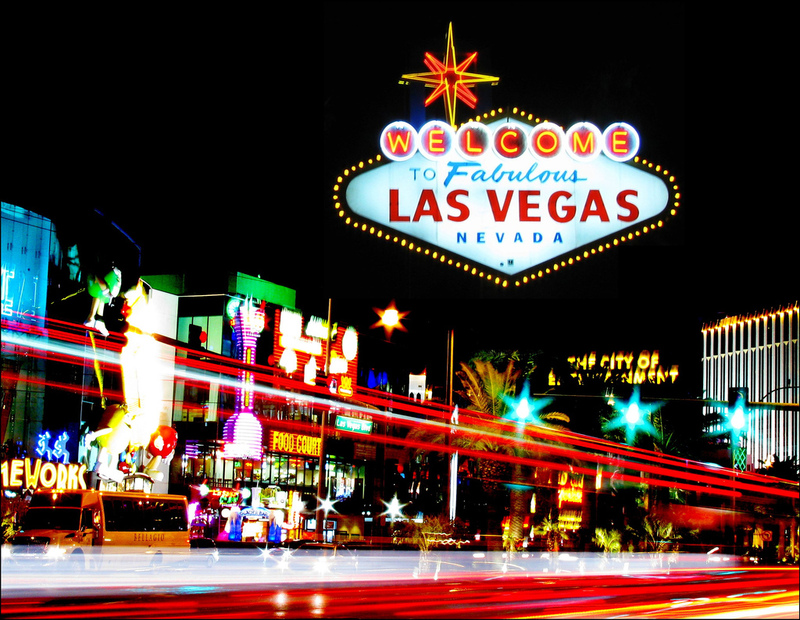 Show, (THE stands for The Home Entertainment) and the high end audio division of International CES (Consumer Electronic Show) fill their respective host Las Vegas hotel rooms, and suites, with audio equipment designed to teleport us to recording studio, or stage, and the sublime musical experience. With systems ranging in cost from a couple of thousand to, “If you have to ask, you can’t afford it,” both these audio conventions offer a walk into the crystal ball as we see, and hear, the future of musical reproduction at its best. Remember that you are reading RCN, We like vinyl — as do most audio geeks. So, be forewarned, there was so much to hear, and so little time, we focused tho,’ not entirely, on exhibits that had both turntable and digital offerings. And, the consensus is: It’s sick! The time has come, and I didn’t think that I would get to say it in my lifetime, that the LP experience is now available digitally. DSD electronic files, playable directly thru computer and DAC to your preamp/amp has the all the detail, depth, presence, soundstage, and warmth of vinyl. Yup, the warmth, too. Kudos to the Musical Surrounding’s room. They faked some out by having an unconnected turntable spin while the real source of the music we were hearing was an iPhone playing through the their impressive Musical Surrounding DAC. The Zesto, TAD, WyWires, Merrill Williams Turntable partnership reminded me that vinyl wasn’t dead yet. Zesto’s George Counnas, the electronic guru behind the tube phono stage and preamp — creatively packaged by wife Carolyn — were spinning Illinois Jacquet’s “Swing’s the Thing,” The analog reproduction demanded that I, immediately, connect with the ubiquitous Chad Kassem at the Acoustic Sounds booth in the lobby to get my own copy. Chad isn’t sweating DSD any time soon. Acoustic Sounds has just acquired the use of the name UHQR, the now defunct, yet highly regarded, vinyl process that can still command thousands for the likes of the now, out of print, Beatles Box Set. Another vinyl lover, Elliot Midwood of Acoustic Image in Universal City, is now a DSD convert too, altho,’ he states that both have their merits. Elliot, somewhat incognito behind both a baseball cap… and a tie, informed us that he is currently perfecting his critical and demanding version of the DAC process right now. If it is anything like his award winning Messenger Pre-amp, which he is adding the ever-in-demand remote control module, it will both amaze and astound. So, get ready for the DSD conversion and, of course, the record companies selling you the same old music all over again. Ah, well; the price of progress. Back to the, “If you have to ask, you can’t afford it,” statement. The Lamm/Wilson suite had the gargantuan, robot-like speakers spit dulcet tones that drenched listeners in a warm bath of mellifluous resonance. The LP experience is now available digitally. 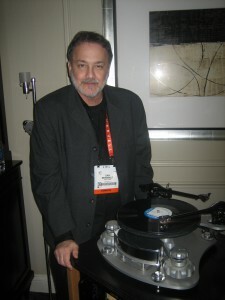 Alternating between vinyl and digital, an octogenarian DJ ambled back and forth to switch, seamlessly, between the Kronos turntable (with a Graham Phantom II tonearm and ZYX Universe II cartridge) and the NeoDio DAC and transport, all pumped thru the LAMM Signature amp, preamp, phono stage configuration. Then, there were the “accessories:” Kubala Sosna Elation cables, Maxxum component stands, and whatever else to hold this behemoth of a sound together; Total outlay: $534,565! Where is my American Express card? My “Best-of-Show” bookshelf speaker altho,’ on stands, was the Evolution Acoustics MM Micro One. These lush little hush puppies filled the room with a wall of sound that would fill Phil Spector’s cellblock. No expense was spared on the pleated diaphragm tweeter, the pair of ceramic matrix midrange drivers or, the ultra-smooth, hi gloss wood finish. The result; a speaker so musical and compact that even your wife will like it. BTW: They go down to a low 35 cycles. That’s bass-like, baby! All this for $2500 — designer stands included! And, they are made in Oregon. For those of us with neighbors, the smooth and silky Grado headphones seemed to be the “Can of Choice” to demonstrate many of the digital, and tube, headphone amps represented. Then, there was the entry-level equipment: Wharfdale debuted a superb pair of floor standing speakers priced under a grand. Peachtree Audio does a fine integration with amp and pre-amp that’s clean and affordable. Morrow Audio, an audio cable company, offered 50 buck interconnects that compared to others costing much more. outfits than any other manu-facturer — Cary Audio components, TAD and Tannoy speakers, TriPlanar and Scheu tonearms, Dynavector and Soundsmith cartridges, just to name a few. 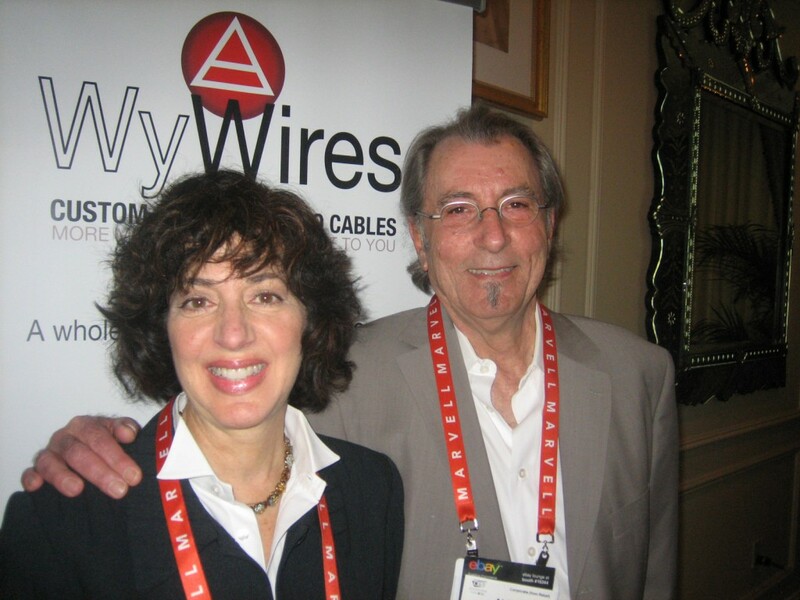 Critics describing Wywires products use terms like, “musical” and “realistic,” and concur that they offer greater value than any other wire in their price range — and they are made right here in Van Nuys, CA. The challenge with these smorgasbords of sound is that it’s impossible to hear everything. It also unreasonable to impar-tially evaluate equipment without listening to the same music with the same components then, swap out the, e.g., speakers, or DAC. or turntable, or — my favorite — the cartridge. This just in! T.H.E. Show is back in Newport Beach, CA, May, 31 – June, 2, 2013. TheShowNewport.com. Write and tell us what you liked.